The Emperor represents the Father principal, referring to origination and authority. He sets all things in order and in motion. He teaches us to be pioneering and to wield our power with compassion. Symbolic of masculine energy, he is the figure of a wise leader and lawmaker. 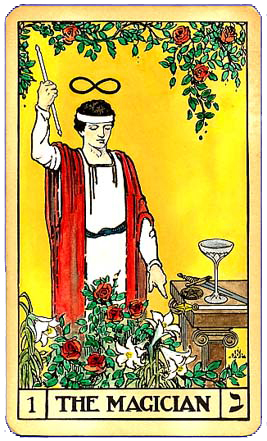 Ruled by Mars, he exemplifies vitality, initiative and decisiveness. 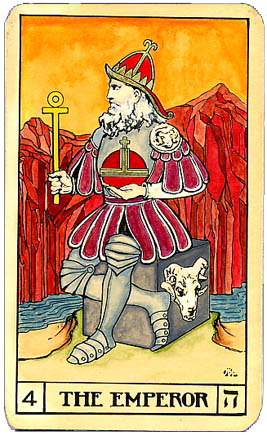 The sign of Aries and The Emperor card are associated with the head and vision. The Emperor image on journals, T-shirts, and mugs. Affirm: I Am an Agent of the Presence of God within.